While growing up in central England, I enjoyed many days out with my family in a beautiful area called the Peak District National Park. We painstakingly followed many a list of ambiguous hiking trail directions from such publications as ‘short walks for the motorist’ and ‘longer hikes for the rambler’. Many a squabble was had over who got us lost by taking us straight on across the fields when we should have taken the left fork over the wooden stile, but really this was part of the fun, as was swatting away wasps as we ate our cheese and pickle sandwiches, jumping across stepping stones in a bubbling brook, dodging bulls and cowpats in a muddy field and peeping through a tiny hole in a draw-stringed rain coat as the rain or snow or hail pelted unrelentingly down. I’m not sure I’m making this sound like much fun at all, but honestly, it was! Perhaps above all, we always made sure that we found a little traditional tea shop to stop at either during or after our walk … or sometimes both. In fact I suspect these times sowed the seeds for the hopeless penchant that to this day I have for cafés. In fact, it wouldn’t be unusual for me to go to some sort of café every day. Ahem … is that a bit embarrassing to admit? Anyway, back to the cafés on our hikes where we would usually have some kind of homemade cake to go with our cup of tea. One such cake that often appeared on the menu was a frangipane-based tart called a Bakewell Tart, so named because it was first made in the pretty market town of Bakewell close to the area where we went for our walks. If you by any chance ever visit Bakewell you’ll see that the Bakewell Tart suffers from the common affliction of famous foods all over the world whereby shop after shop claims to sell the original and one and only traditional version. It doesn’t really matter though who is telling the truth because they all seem to sell an equally as delicious version of this short crust pastry tart spread with strawberry jam and topped with an almond, eggs, butter and sugar frangipane and flaked almonds. Beautiful! There are several tales of how the Bakewell Tart first came to be, but most of them seem to involve a Mr. or Mrs. So-And-So making a dessert especially ordered by a famous customer and then in their haste mistakenly putting the jam on the bottom of the tart case instead of on the top of the cake. The result is a pretty heavenly dessert with, you could say, a lovely fruity ‘surprise’ in the middle when you cut into it. 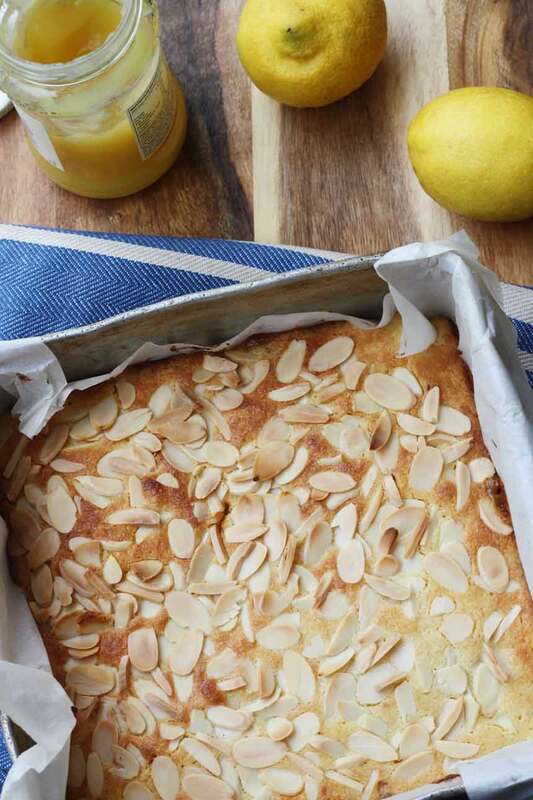 I decided to make a lemon version of this with lemon in the bottom short crust pastry layer, the lemon curd layer (of course) and the top frangipane layer – simply because I recently picked up a big bag of lemons from a roadside stall and wanted to find a use for them. Now, don’t think that the three layers means that this is complicated because it really isn’t. My pastry-making skills usually leave a lot to be desired, quite frankly, but the rich sweet crust for this comes together extremely easily, as does the frangipane layer. As for the lemon curd, I was intending to have a go at making my own but in the end decided that I would use a supermarket jar just to keep things super simple. The most time-consuming part of this turned out to be grating the lemon zest and, let’s face it, that’s not exactly heavy-duty work either! I can honestly say that this was one of the most successful desserts I’ve made in a long while and it looks and tastes a lot more impressive than it really is. Even my not-all-that-keen-on-cake husband eagerly ate up every last crumb. We ate it hot with custard the first time and cold by itself the second time. I think I marginally preferred it cold, but it’s really, really good either way. So tell me, are you a café freak too? Do you usually order a hot tea or a coffee or something else, and is that usually accompanied by some kind of treat or are you able to resist? Come on, own up! This dessert sounds and possibly looks complicated, but it isn't at all! 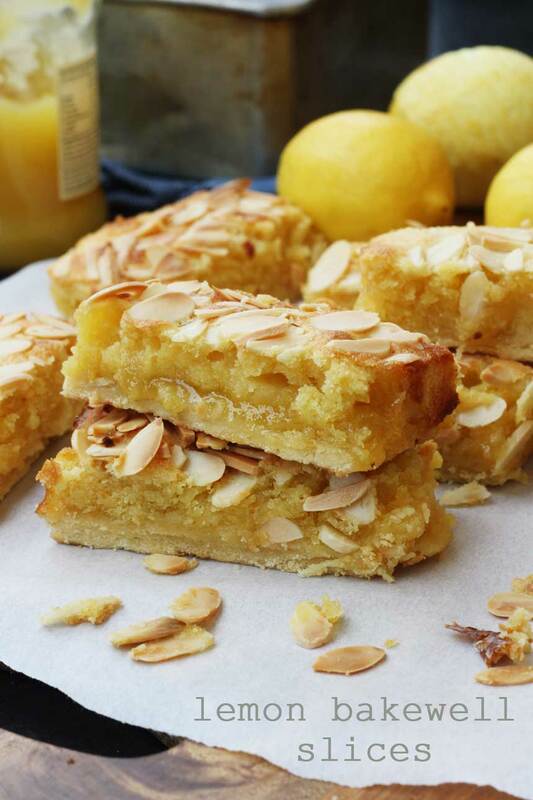 It's just a simple sweet pastry layer topped with lemon curd and almond frangipane layers. 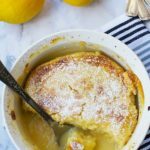 A traditional British dessert with a lemon twist ... enjoy! In a large bowl, quickly rub the butter into the flour with your fingertips until it resembles fine breadcrumbs. Stir in the icing sugar and lemon zest, then add the egg yolk and tablespoon of water, mix lightly then bring the dough together with your hands. Wrap in plastic wrap and chill for at least half an hour. Pre-heat the oven to 350F/180C. Line a baking tin (about 20x20 cm) with baking paper and grease it well with a little butter. When the pastry has chilled, roll it out so that it's a little bigger than the baking tin, then place the baking tin on top of it and cut around it with a sharp knife. 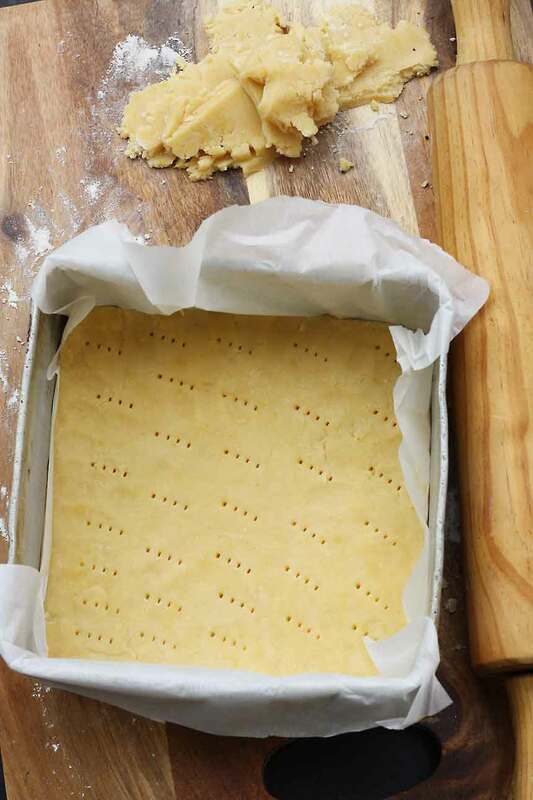 Use this square of pastry to line the bottom of your tin, making sure you push it right into the corners. Bake for 10 minutes. Meanwhile, make your filling. 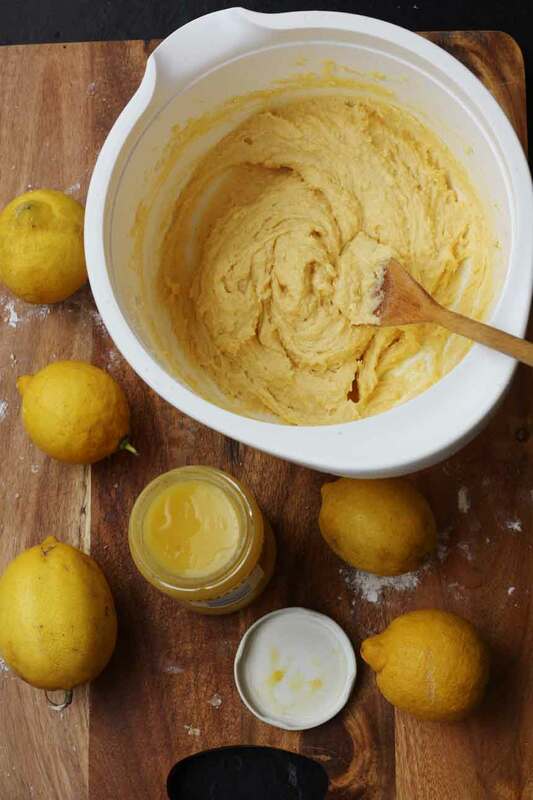 Beat together the butter, sugar and lemon zest with a handheld whisk until light and creamy-looking. Gradually add the eggs and ground almonds, then stir in any remaining ground almonds and the flour. Roughly spread the lemon curd over the pastry base (don’t go right to the edge, to stop the curd layer from sticking to the baking paper while cooking), then top with the almond filling and smooth down with a spatula or the back of a metal spoon (it may seem like there isn’t enough filling, but trust me, there is). Scatter over the flaked almonds, then bake for 15 to 20 minutes, until the top of the dessert is lightly golden. Cut into 8 slices, then serve warm with ice cream, custard or cream or cold, by itself. adapted from this recipe from BBC Goodfood. Ahhh … tu te baignes au lac, eh? Parfait! Bonnes vacances, Eva! Ahhh … British pubs! My favourite! I can’t wait to see your traditional Bakewell tart. 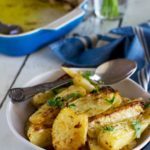 Let’s face it, traditional is usually best – it’s just that I had all those lemons to use up! I’ve been wanting to make a bakewell since I saw it on The Chew. I do like your lemon version better though. Oh, you’ve heard of Bakewells! I’m so happy about that! To be honest, Norma, you could use any flavour jam you like – raspberry would be good. You could still put the lemon zest into the batter. These sound amazing. I am loving lemon desserts at the moment. Perfect for summer. Thank you, Dannii! These are quite a ‘summery’ kind of dessert. Actually, lemon is probably my favourite flavour to put in desserts, after chocolate of course 😉 So glad you like these! I love going to cafes, but for me, that usually just consists of Starbucks, sad as that sounds. Rarely do I ever just enjoy a spot at a cafe for an extended period of time, mainly because they’re not so prevalent by me. Usually I can resist the baked goodies, but I do cave every once in a while. Gorgeous bars, Helen! Though I’ve never heard of bakewell, I like the name and how that came to be.I love the golden brown color and lemony colors popping out here. Such a perfect treat! Oh, thanks, Cindy! So glad you enjoyed the story – just a little one today! 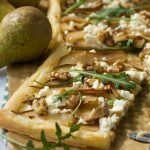 These slices were a little hard to resist, I have to say – that’s a good thing though, I guess, for the recipe! Wonderful stories Helen, I’ll just pop in the Colin Firth version of Pride & Prejudice and eat these lemony bakewells to make myself feel better. Peak District. So jealous. When my kids get older, I’m dragging my husband on one of those walking tours across England where we eat at Pubs and look for desserts like this. Aside from chocolate, lemon desserts are my favorite. And almonds on top, even better. Would love to sit back in Devon and devour these over a hot cup of really good coffee and a mystery novel. Definitely do the walking tour thing some time … there is so much beautiful countryside in England, and as it’s a pretty small country you can see quite a few different areas in a short time. OK, now this is turning into the blogging version of an infomercial. I think the UK tourist board needs to pay me for this! So happy you like the slices, though. I hope you get to try a Bakewell Tart some day! Hi Helen, never heard of Bakewells, but these are truly a thing of beauty, love your presentation and of course your story!! Thank you so much, Cheri! I knew most readers wouldn’t have heard of Bakewells, which is why I wanted to tell the story of their origins. So glad you enjoyed it! Wow! This slice looks absolutely heavenly! I haven’t had a Bakewell tart for years, and I love the lemon curd version. You had me licking my lips half way through. On my list to make, thank you so much for the reminder. Hi, Denise! So happy to have you licking your lips! Do give these a try some time soon … they’re a lot easier than they look, honestly! I love cafe’s and I couldn’t resist ordering a treat! Btw, these lemony slices look and sound freakin awesome – I love the lemon in the crust!!! Shashi! So happy to have reminded you of Sri Lanka! Although I think I would have been a bit freaked out to be lost in a forest … at least we had our little book with the instructions in! So glad you like the slices … I love that they have zest in the crust, too! Yes please!! these lemon slices are calling my name.. they look uber delicious.. Yumm!! Thanks, Arpita … so glad you like them! tarts and I remember my Grandma baked them quite regularly. Lemon curd is another favourite so your version sounds delicious. Thanks for the recipe. Oh, you’re so welcome! So glad you like them and that I reminded you of your grandma! Awww these slices are so sunny and beautiful, they are definitely brightening my day! Thanks, Jocelyn! That would be my ultimate aim … to brighten up people’s days! Hehe I’d put up with a hike and squabble for a bit of this slice! 😀 And I’ve got 8 huge lemons in my fridge. I think it’s time to make a slice! I love lemon anything! Back in my college days I studied in cafes, so I was usually in one every day. Now as a grown up when I work from home, I usually find myself back there. There’s just something so comforting about it. Yes, I have to admit I’ve even worked from a cafe recently a few times. the chattering and clattering going on around me seems to help me to concentrate, somehow. Not as boring as working from home alone! Oh my gosh this is pure lemon goodness!! Your hikes sound like a lot of fun and enjoying these on the trail will just be a treat. 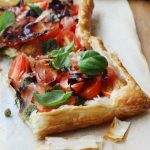 Wow- you’ve combined my two favourite recipes! Love lemon bars so much! Can’t wait to try the recipe out! Oh, I hope you do try these, Jess! 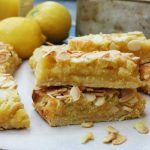 They are a cross between lemon bars and bakewells, aren’t they? I absolutely loved them – so glad you like them, too! I am a huge cute cafes lover as well! Too bad we don’t have lots of those in Spain 🙁 I usually order both the tea and some kind of yummilicious pastry 😉 But I don’t think I’ve ever had one of those delicous bakewell slices! Your version looks truly awesome Helen! So glad you like these lemon Bakewells and I really hope you give them a go some day! 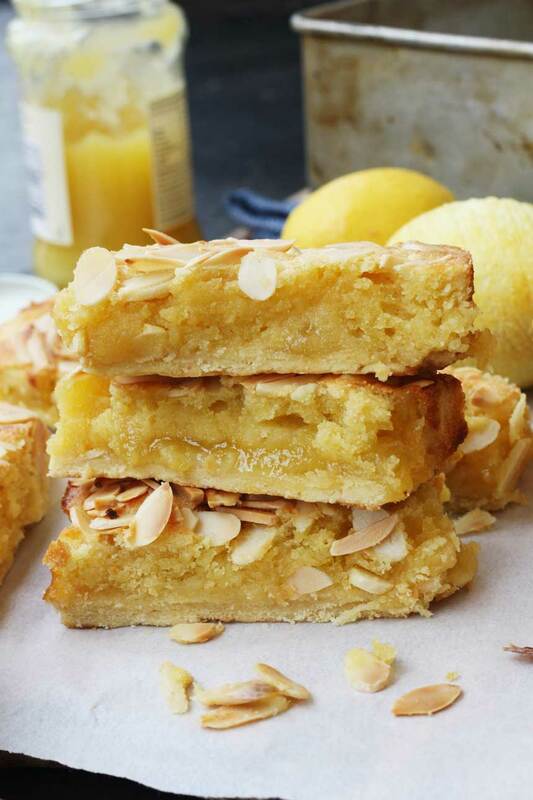 I’m totally obsessed with lemon desserts…and almond…and just about anything shortbread. These look divine! And love the “Bakewell” story…I’d never heard of them before- but I definitely need to try them now! These look fudgy and amazing. 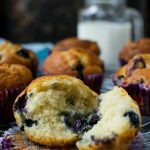 Seriously – I want them for breakfast! These are honestly one of my favourite recipes so far on the blog. Everyone around here loved them! The best thing is that they’re really not all that difficult to make, either. So glad you like them, Alyssa! This dessert is drool worthy. It looks delicious Helen. That’s wonderful that I reminded you of your memories too, Kathy! 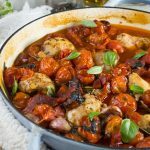 So glad you like this recipe … it’s one of my favourite so far! Lemon plus shortbread plus your always delightful stories? My ideal way to spend a Sunday night! Aw, really? Thanks so much, Monet! I really enjoyed making these … and tasting them, of course! I tested this out and featured you on my blog this week! Thank you for such a wonderful recipe! Thank you, Victoria! I already checked out your post and feel very honoured that you tested out my recipe … and liked it! Your photo looks great! So glad these turned out well for you! I love lemon desserts, I have been eating a lot of them during the summer as they are almost refreshing. So glad you like these, Dannii! You’re right, anything lemony, including cake, is quite refreshing! Cheese and pickle is such a traditional English sandwich combo … but actually you don’t see it so often these days. Still tasty though! Really hope you give these slices or something like them a go some time … they’re really worth it! 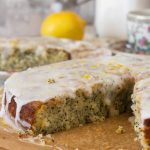 Your lemon version looks absolutely scrumptious! I’m overdue to make a lemon dessert and this looks like the perfect recipe to try. Pinning! 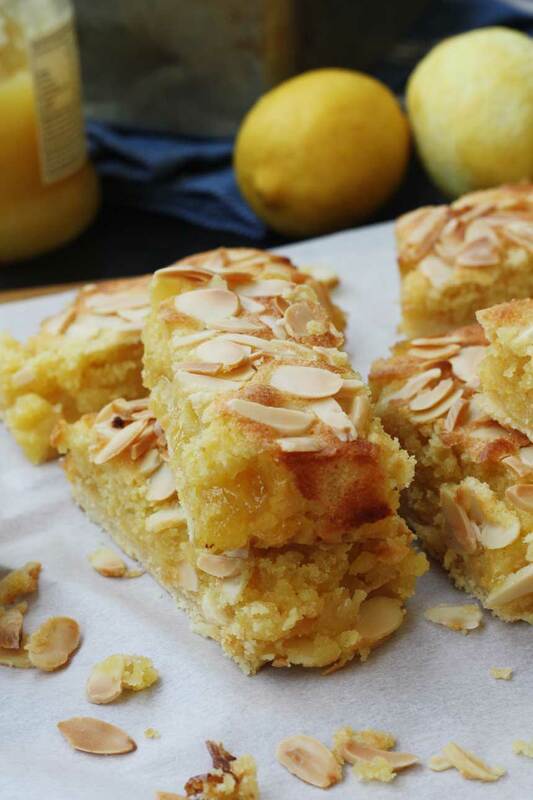 Thanks so much for pinning this, Liz … so glad you like the lemon Bakewells. I think these are my favourite dessert right now … they’re delicious! 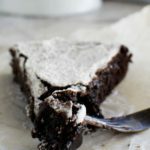 Another lovely dessert to save and try with the kids. Your kids will love these, Bintu … I can pretty much guarantee it! Hi I discovered your recipe on Pinterest last week and have made Lemon Bakewells this week to serve in the small village English café where I work. I’m sure that this will delight you seeing as your post was about café cakes. 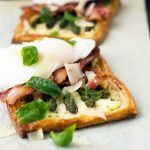 I’ve blogged and linked back to you for the recipe, thank you so much for sharing a lovely recipe. The pastry is certainly devine! Colin Firth’s Pemberley is Chatsworth House-just up the road from Bakewell so this would be just the thing to savour while watching P&P. Personally I always make lemon bakewell. 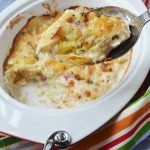 Hi Dee, so happy you like the recipe, and hope you give them a go some time!